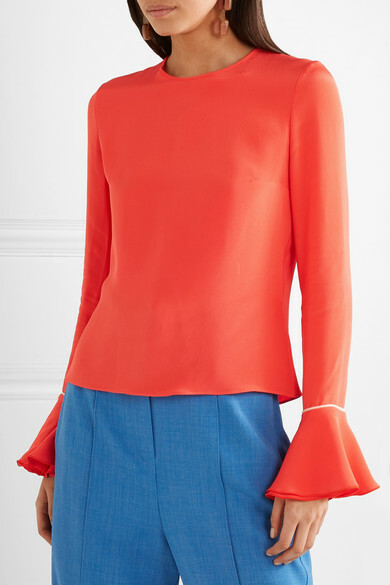 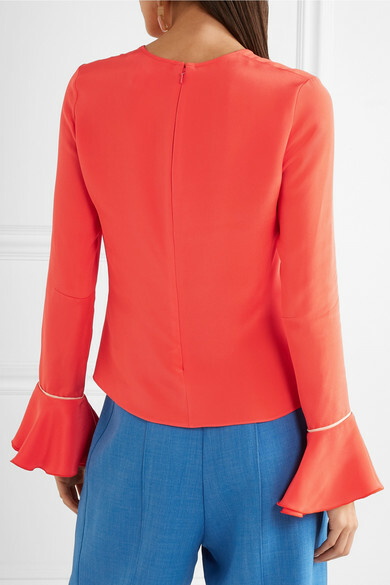 Roksanda Ilinčić simply gets how evocative a color can be - the luscious coral hue of her 'Saba' blouse is so uplifting to both look at and wear. 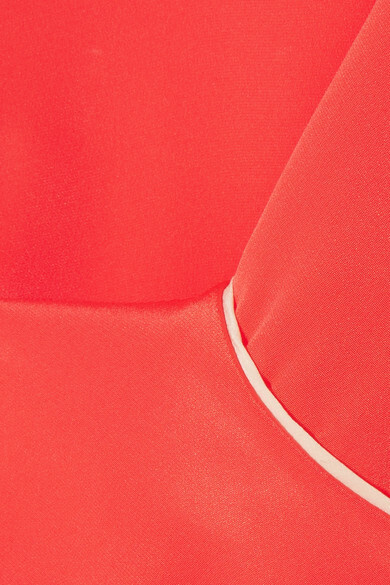 It's made from slinky silk-crepe and piped with cream silk-satin to highlight the pretty bell cuffs. 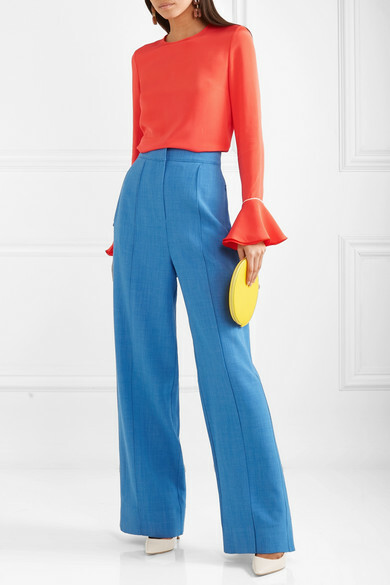 Shown here with: Roksanda Pants, Jimmy Choo Pumps, Roksanda Pouch, Marni Earrings.